A trailblazer, creator of the MAARAG system (sexuality - love - feeling - body), which focuses on the path of Tantra and therapy. A personal and group counselor, a group facilitator and workshop leader. 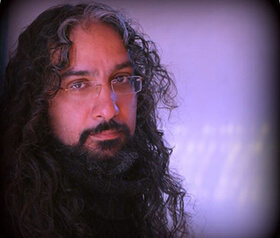 In his work, Sujay incorporates a variety of methods, including Tantra, meditation, gestalt, circular breathing, family constellation, creative therapy, pulsation breathing, somatic experience (SE) and more. A yoga teacher and Reiki Master. One of the founders of the Desert Ashram in Israel.A musician and an artist.A Doctor of Veterinary Medicine (DVM), from the Hebrew University of Jerusalem, and a Bachelor in Life Sciences. If you had asked me as a child what I wanted to do when I grew up, I would have answered, of course, that I’d be a scientist or a veterinarian. And for a short while, it seemed that I, Shmulik Shemesh, an introverted boy with a rich inner world, a mischievous and seemingly all too ordinary child, was going to do what everyone expected of me. I was born in Israel. But I spent the early years of my childhood in the steaming jungles of Central Africa – Nigeria, and although it was there that I developed my fondness for nature, animals and other creatures (to my mother’s dismay), the extended period of time I spent on the Black Continent left another impression on me – an incredible love for life, and a real curiosity about exotic cultures. The rest of my childhood and adolescence was no different from that of many others, and I enlisted in the army with a head full of heroic ideals. So it happened that I enlisted in the Naval Officer’s Course, at the end of which I was declared a graduate of the Israeli Naval Academy. But my enthusiasm for the white uniforms did not last long, and I soon felt that my destiny lay thousands of miles from a promising military track. No wonder that as soon as I finished my service, I boarded the first plane to Bombay without a moment’s hesitation. For me, India stirred a new-old feeling, as if I had returned to a familiar place. I felt that the local culture, language and customs were somehow familiar to me. The year was 1991; there was still no real Internet in India and the Israelis had not yet overrun Manali. I felt a deep desire and need to stay and explore the vast knowledge, mystery, and various spiritual paths that can be uncovered on the ancient subcontinent. But in my heart, I still could not free myself of the plans I had made since childhood. With a heavy heart, I left India and returned to the “regular” course of life. I signed up for a Bachelor’s in Life Sciences at Tel Aviv University. As I student, I found great pleasure in working with children, both as a personal mentor for children with attention deficit problems and as a math teacher at a primary school. I made it my goal to present the children with a fresh, new perspective on the world around them. But the powerful attraction to discovering the mysteries of life was not satisfied by scientific investigation. I found myself returning to India for extended periods of time; and each time, I felt something ancient, an old memory, seeping into me, finding its way in. In 1996, on one of my motorbike trips and on my way to Goa, I – to my surprise – joined Osho’s commune at Pune. Today, looking back, it seems as if my entire life had led me to that specific point, where for a split second my world shifted and I was able to see and feel the energy of life moving through me at the height of its power, with no restraints. I felt it clearly, with a sense of transcendence; of having become one with the universe. 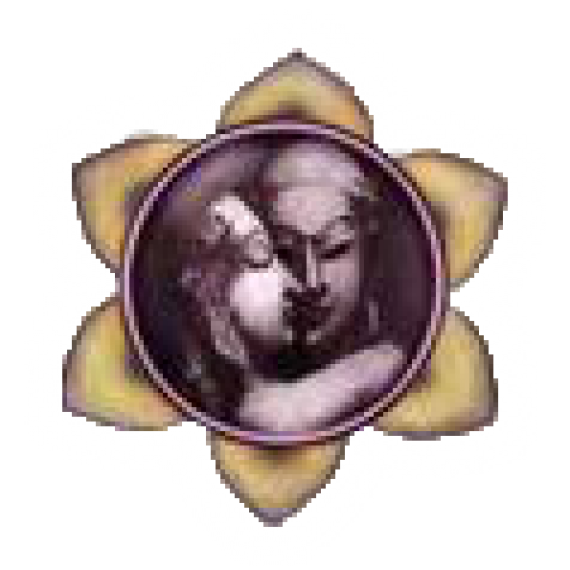 To be one with existence – to be Tantra. And so it happened that after seven years of academic study for a Doctorate in Veterinary Medicine (DVM) from the Hebrew University of Jerusalem, I made the decision to go and fulfill my destiny. I liquidated my business in Israel and embarked on a personal quest, with no defined goals or purpose. My journey began in Europe, with a backpack and a small baglamas (a stringed instrument used in Greek music); and continues, to the best of my knowledge, to this day. During my travels I once again went to India. This time, I used the time to practice and deepen my knowledge of Tantra and Yoga. I spent several years in a small village at the foot of the Himalayas. I studied and taught Yoga and Tantra Yoga. There I also learned and tried my hand at, among other things, alternative methods of construction, including clay construction (“mud-building”) and ecological construction that integrates harmoniously with the environment. Years later, this experience led me to plan and build an original ecological project at the Desert Ashram in Israel named “Shkobibotz”. The project (which by the way continues to be built today) has been integrated into a therapeutic program parallel to the WOMP program. I arrived at the Desert Ashram soon after its establishment, and very quickly found myself taking part in building one of the most special places in Israel. I stayed at the Ashram for three and a half years, during which I received many gifts – I had the privilege of living in one of the most powerful melting pots I have ever known. I worked with pleasure at almost everything the place offered me: from construction to money management and general management; from the production of festivals to management of the local therapy program (Working Meditation Program; WOMP); leading meditations and cooking in the kitchen; and I found that all work and activity performed out of love is a powerful meditation in itself. I discovered how Tantra gives rise to inspiration and opens hidden doors to being and creating, whether by playing or painting, cooking or writing – areas I had not developed in myself before. I also found great satisfaction as a therapist in many different fields – healing, Reiki (Master), Tibetan massage and holistic sound therapy – Didgeridoo and Tibetan bowls; and even channeling and reading tarot cards. An important part of my therapeutic work requires direct experience with the content I work with – and I therefore make sure to continue to experience, to update myself and to receive certification in various therapeutic methods, including Gestalt, family constellation, somatic experience (SE), art therapy, circular breathing (rebirthing), pulsation and Reichian body work, psychodrama and more. In my Tantric work, whether in Tantra sessions or Tantra workshops, I draw inspiration, knowledge and methods from different worlds – mysticism and science, heaven and earth, action and emotion, spirit and matter, desire and creation. It seems that at this point of encounter there is no longer any duality; there is no longer any separation – everything is interconnected, and all of the different aspects have an essential and important part in the personal creation of our lives. where we built our home and our beloved family. You are welcome to come to my clinic for personal sessions, or to the different workshops that Moran and I lovingly create together.